It turns out that the Xbox One will work just fine even when the all-seeing Kinect isn't connected. 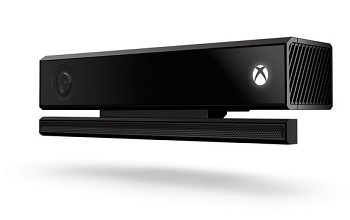 Kinect, as you surely know by now, is an integral part of the Xbox One experience. It's watching, it's listening, it's ready to do your bidding at all hours of the day or night - and that's actually a little creepy, isn't it? It's kind of like a little electronic Santa Claus, watching you while you sleep. Microsoft tried to assuage the concerns of those who worried that their "alone time" on the couch might come under scrutiny by saying in May that the system can be turned off, but now Xbox Main Guy Marc Whitten says the Xbox One will work even if the Kinect isn't hooked up at all. "Xbox One is designed to work with Kinect plugged in. It makes gaming better in many ways - from the ability to say 'Xbox On' and get right to your personalized homescreen, to the ability to control your TV through voice, Smartglass and more. Kinect allows you to search for your content, instantly move between games and your personalized dash and more with just your voice. Kinect helps you pick up and play by automatically knowing which controller you have in your hands. No more need to interrupt your friends game or navigate through multiple UI screens to sign in and tell the system which controller you are holding. It will even bind the controller to the console if its currently unbound - no searching for special buttons!" Whitten replied when asked if the Xbox One will continue to work if the Kinect is broken. "Of course - these are just a few of the system wide benefits of having Kinect. Games use Kinect in a variety of amazing ways from adding voice to control your squad mates to adding lean and other simple controls beyond the controller to full immersive gameplay." I quote that in its entirety only because of the stunning excess of verbiage used to answer a simple "yes or no" question that it actually fails to address at all. Whitten does eventually get around to responding, however, concluding, "That said, like online, the console will still function if Kinect isn't plugged in, although you won't be able to use any feature or experience that explicitly uses the sensor." So, will the Xbox One work without Kinect? Yes! Minus the Kinect parts, of course. Hey, it's a new console, it's not magic.